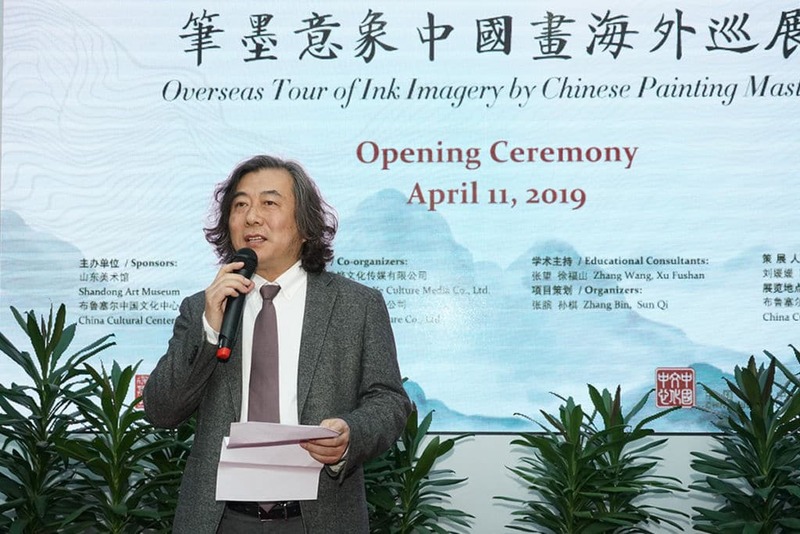 The Center has greeted the newly arrived spring with a new exhibition on Chinese ink wash paintings. 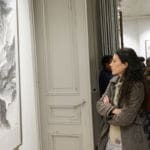 The opening ceremony created an extraordinary atmosphere of artistic creativity. 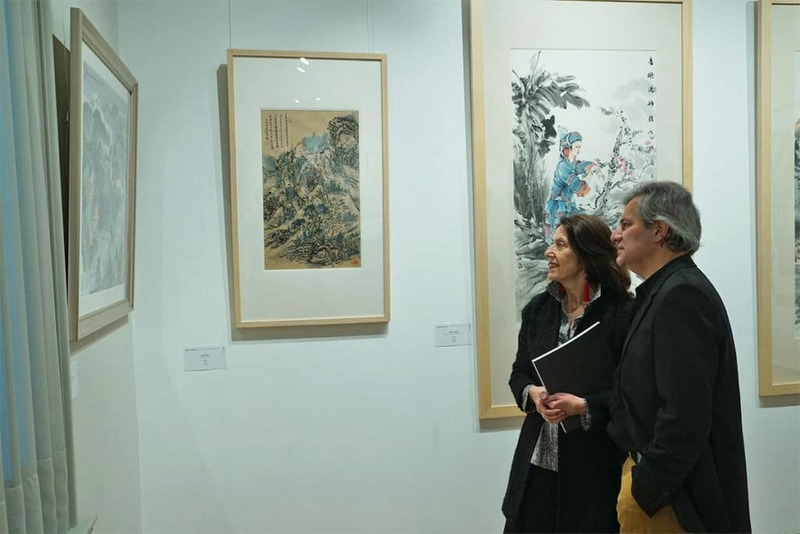 A collaboration between the China Cultural Center in Brussels and the Shandong Art Museum has resulted in the “Overseas Tour of Ink Imagery by Chinese Painting Masters”, the art exhibition that has been joyfully opened on the evening of April 11. 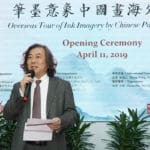 The opening ceremony at the Center welcomed Mr. ZHANG Wang, Director of the Shandong Art Museum, Mr. Bernard DEWIT, Chairman of the Belgian-Chinese Chamber of Commerce, Mr. GE Yiyou, Director of the China Cultural Center in Brussels, representatives from the Cultural Section of the Embassy of the People’s Republic of China in the Kingdom of Belgium, and around 130 guests to enjoy the creations of the Chinese painting masters. 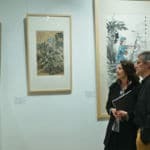 Drawing attention to the ink imagery in Chinese paintings, the 46 works on display narrate Chinese stories using both traditional and contemporary styles. 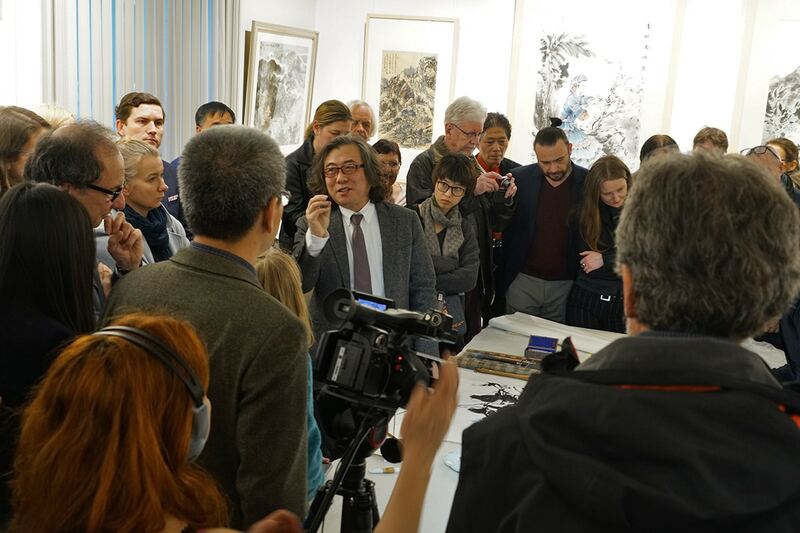 By developing their artistic language in relation to the cultural context of the present, these painting masters forge a new perspective on modern Chinese ink wash.
After having warmly welcomed the guests, Mr. GE Yiyou, Director of the Center, introduced Shandong province, home to the Shandong Art Museum: “In China, Shandong is renowned for its hospitality and has a profound cultural heritage, stemming from the distinct Shandong culture. 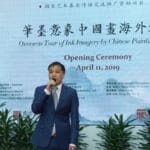 The province has always been famed for its ‘one mountain, one water and one sage’”, which signify Mount Tai, the Yellow River and Confucius, all bearing great significance to Chinese society. 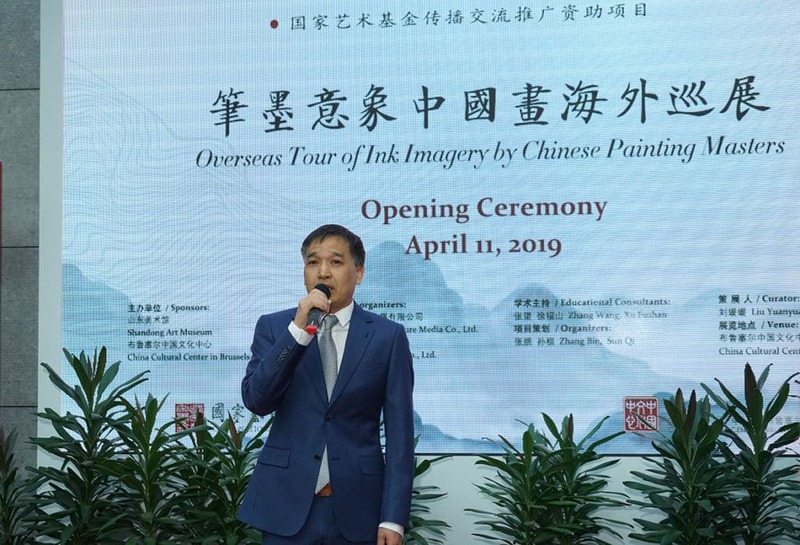 The 23 outstanding ink artists have successfully portrayed this Chinese spirit, which is the common thread in the exhibition. 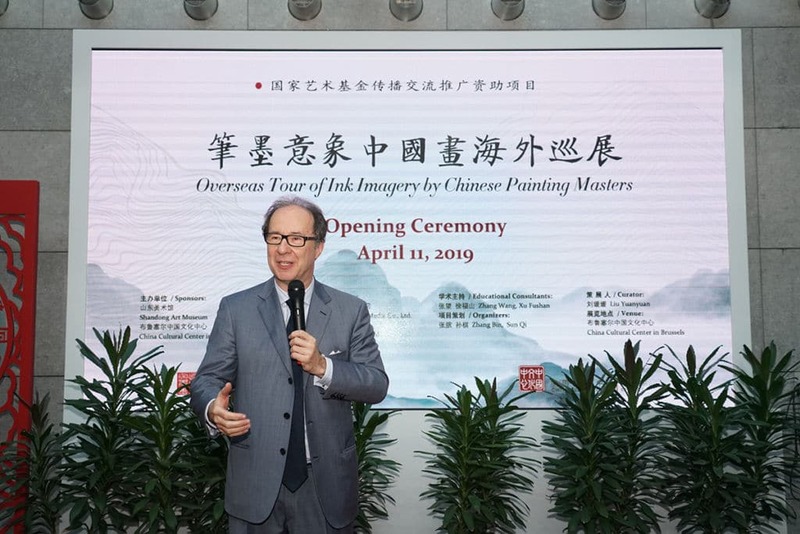 Mr. Bernard DEWIT, Chairman of the Belgian-Chinese Chamber of Commerce, also advocated for cultural equality and thanked the Center, the Shandong Art Museum and its artists for making this cultural cooperation possible. 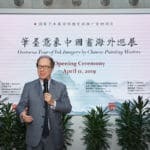 He believes intercultural exchanges like this exhibition are the perfect opportunity to unite with one another and connect with people from all over the world. 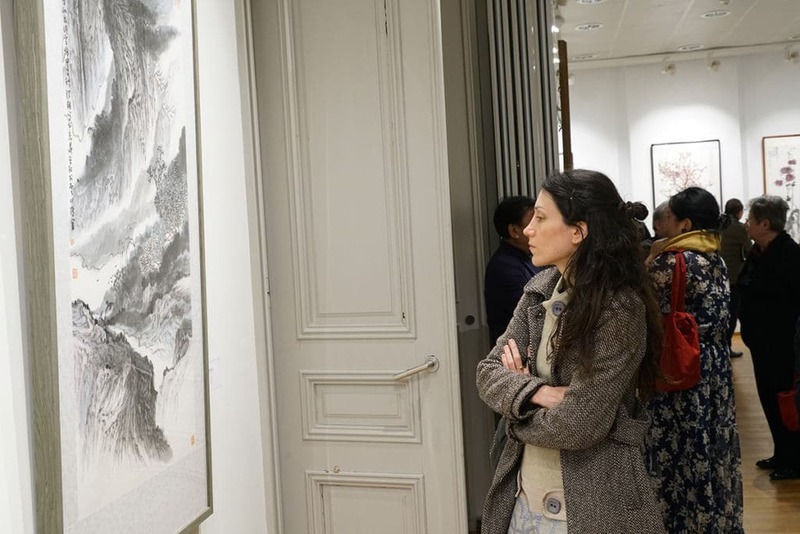 He wishes people to explore the stories behind the paintings in order to familiarize themselves with Chinese culture. 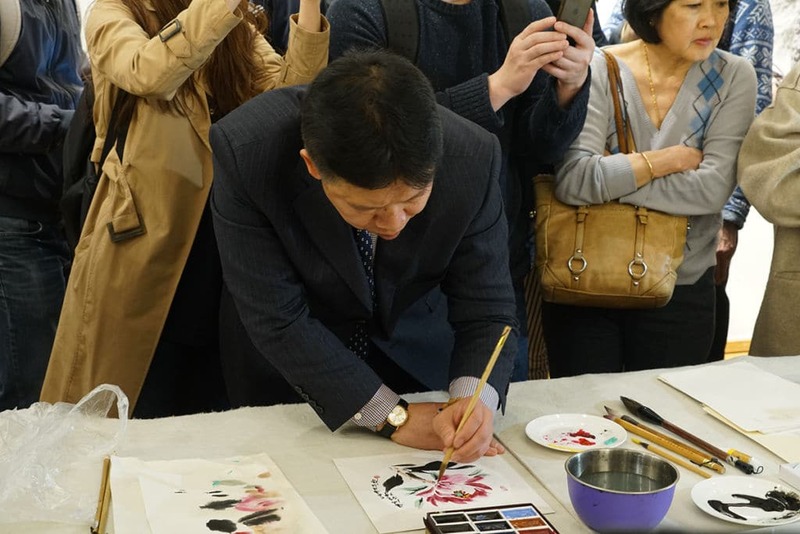 The ceremony was concluded with a painting demonstration by two of the artists included in the exhibition, Mr. XU Kang and Mr. ZHANG Wang himself. 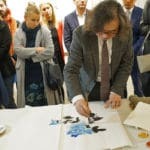 The audience had the opportunity to experience first-hand how the painting masters use ink wash techniques to create the vibrant ink imagery. 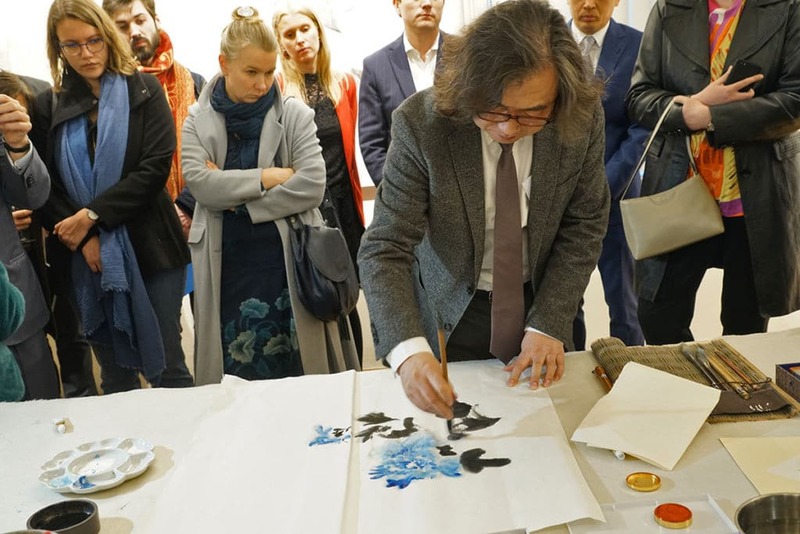 The evening breathed creativity, as the unique language of ink was brought to life. 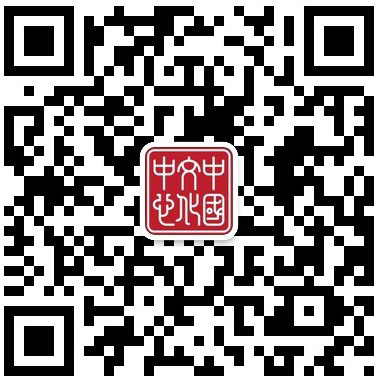 Open Monday to Friday according to the opening hours of the Center, closed on April 22 and May 1.